Paul Morgan. 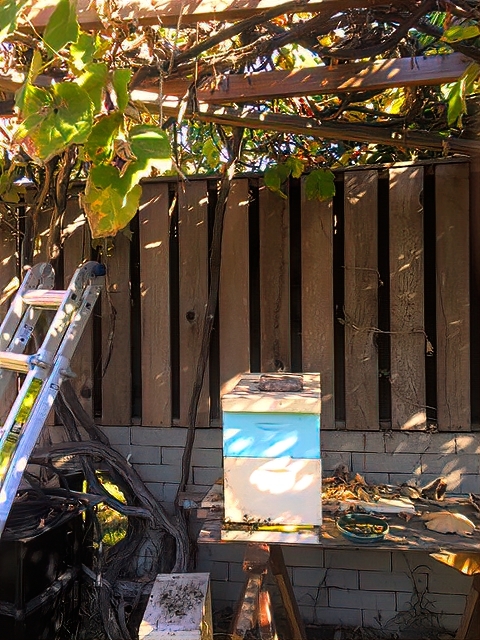 Three hives in modest Los Angeles backyard. Two were passing through and stayed. Only our 3rd year. 1st year of harvest. 3 very different personalities. This one is very sociable with large harvests. @copy; Paul Morgan.